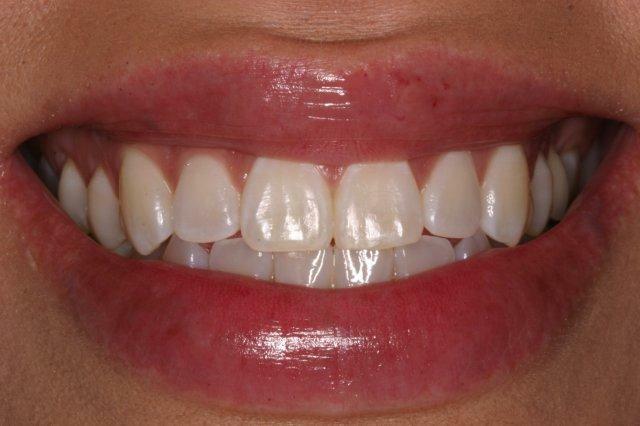 The placement of four porcelain veneers on both the upper and lower front teeth was necessary to reverse the effects of erosion and wear, resulting in a rejuvenated more youthful appearing smile. 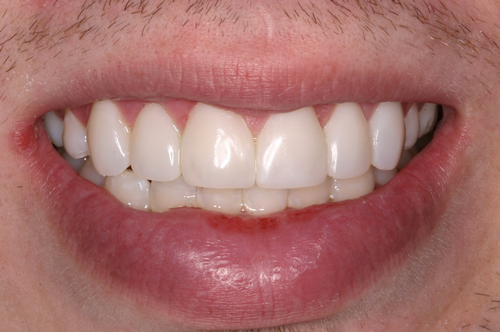 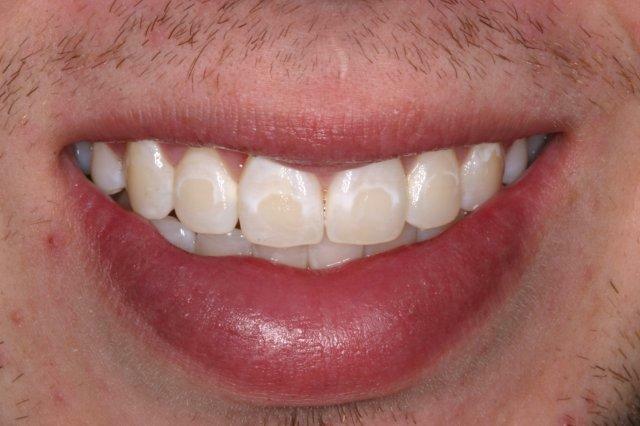 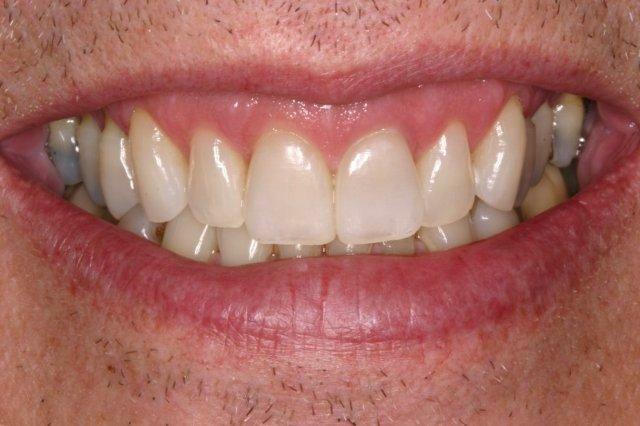 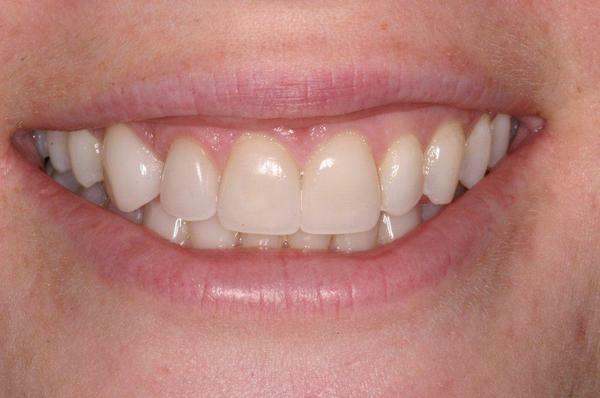 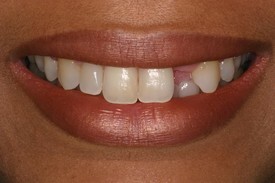 A single dental implant supported porcelain crown and teeth whitening provided a conservative restoration of this smile. 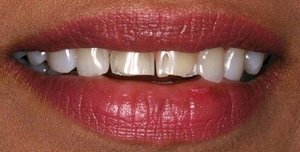 Conservative application of bonded composite resin was utilized to close the space between the two front teeth and enhance this smile. 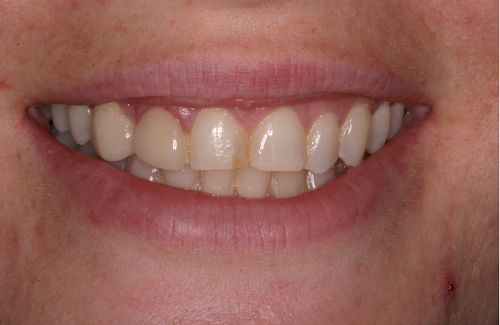 A porcelain crown, porcelain veneer and composite resin were placed to restore symmetry and transform this smile. 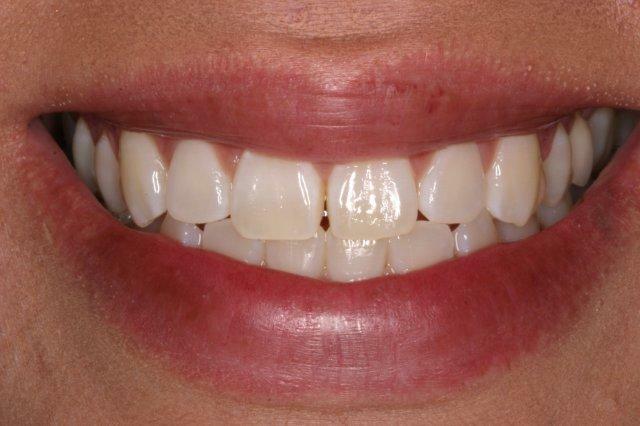 Directly applied composite resin veneers and teeth whitening eliminated the discolorations and provided optimum esthetics for this smile. 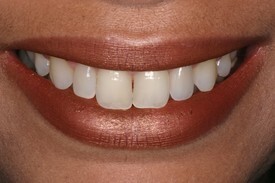 Zoom chairside whitening and placement of four porcelain veneers restored proper proportions and vitality to this smile. 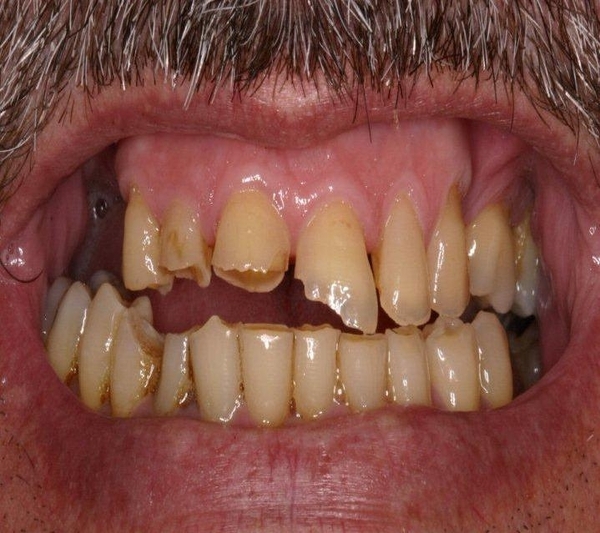 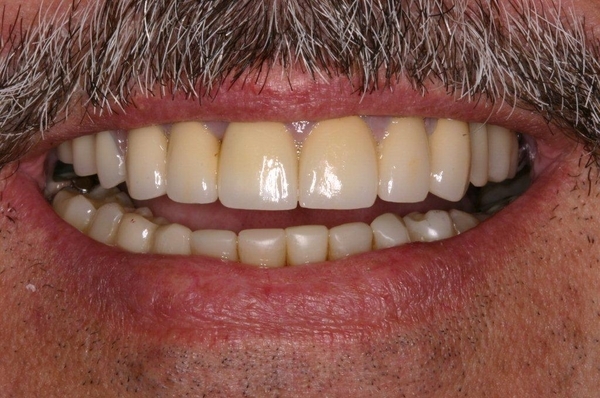 A multidisciplinary approach utilizing porcelain crowns, directly bonded composite resin and removable partial dentures were needed to rehabilitate this smile. 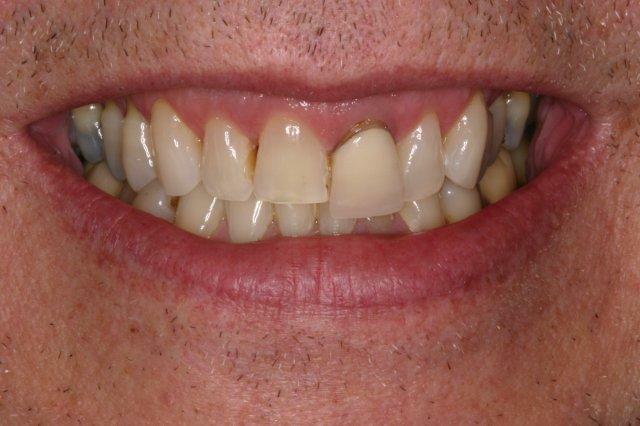 Even with complete tooth loss, implant supported appliances can be fabricated to create a beautiful smile and restore reliable function.